Nearly every driver has received a parking ticket at some point for violating parking laws or parking too long at a parking meter. Understanding IL parking laws can help you prevent future tickets and pay your current ones. This guide will explain several of the violations of Illinois parking laws that can lead to tickets, as well as laws pertaining to disabled parking. You will also learn about ways to pay your parking tickets online in many jurisdictions. Typically, parking law violators are fined for violations of local laws, rather than statewide Illinois parking laws. However, in some situations (like parking in a disabled spot), IL parking laws will be enforced against drivers. Illinois parking laws do not specify any time limits for meters, but individual municipalities set their own parking meter limits that must be abided by. You may also be violating IL parking laws if you park in a fire zone or loading zone that is clearly marked as such, or in front of a fire hydrant. Fines for violations of Illinois parking laws are typically substantially lower than fines associated with moving violations. If you have violated relatively minor IL parking laws, like staying too long at a parking meter or in a space marked for limited-duration parking, you are likely to be assessed a small fine (sometimes as little as $5-20) for your parking ticket. For more serious violations of Illinois parking laws, like parking in a disabled spot, you can expect a fine of hundreds of dollars. In addition to parking fines, people who violate IL parking laws may sometimes have their car towed and impounded. Towing may also happen from private lots if you are parked in one illegally. The fees for towing and releasing your car from impound may be several hundred dollars as well. Habitual offenders who do not pay their tickets may find their car has been immobilized with a “boot” in some jurisdictions if they violate Illinois parking laws. IL parking laws assume that the person who is the registered owner of a vehicle was responsible for it being parked in an illegal spot. If you can show evidence that a parking ticket was obtained due to someone else driving the car, you may be able to have the state assess the parking fine against that individual instead. 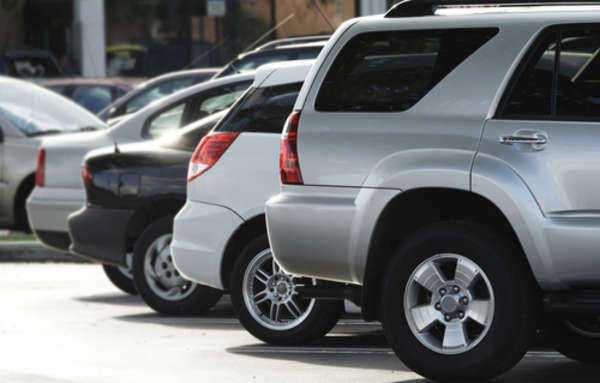 If your car was reported stolen or missing, you will not be responsible for violations of Illinois parking laws committed with your vehicle during that time. Because many people violate IL parking laws every day, handling tickets online has made it much more efficient and easy for the state to collect fines. If you have been ticketed in the city of Chicago, you can pay your parking ticket online at the following web address. If you are trying to pay a ticket for another city online, you may try looking up the city's website, which may offer guidance about your options.